TIP: before you change the frequency of your GST returns, make sure that all previously filed returns have been finalised. 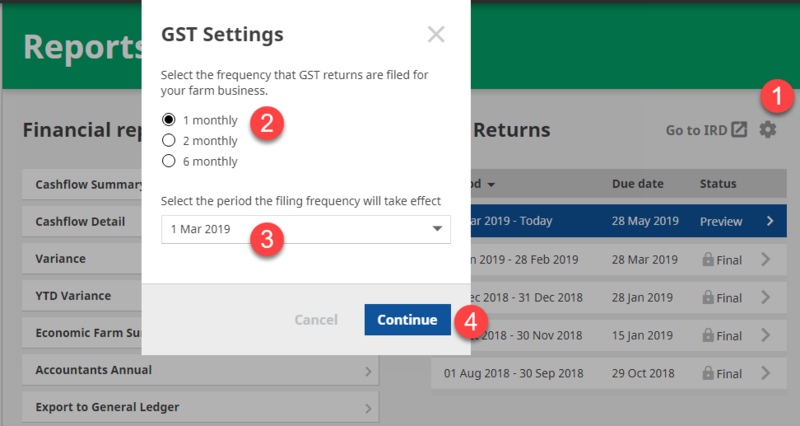 Click on the Settings button in the GST returns area. Select the frequency from 1 monthly, 2 monthly or 6 monthly. Select the month that the new return frequency takes place. Click Continue to save the changes.